Experts say that San Antonio real estate sales will continue to increase this year. They also note that prices will continue to climb in the consumer home sale market as many local developers are not able to keep up with demand. Some of the factors that are causing the increase in San Antonio real estate demand are local growth in jobs, very low mortgage rates at 4%, and increasing home values. It is likely that mortgage loans will continue to edge up but will continue to be low by historical standards. Approximately 27,000 homes were sold in San Antonio in 2016, which is an 8.5% climb from 2015, and a huge 46.4% increase from 2012. Local home prices in the San Antonio market increased in 2016 to $204,000, which was a 27% increase from a median home price of only $160,000 in 2012. Owner Finance, Buy and Hold Investment Opportunities! Given that there is such a strong demand for homes, as a San Antonio real estate investor, I am finding that there are plenty of investing opportunities for under market value properties. This city has many people who want to buy a San Antonio home but do not have the credit or the down payment to get a conventional loan. That’s why a major part of my San Antonio real estate investment business is selling homes with owner financing. The end buy has to have $5000 down, have a steady job, and show that they have the regular monthly income to pay the mortgage. I prefer to owner finance my investment properties than rent them out. 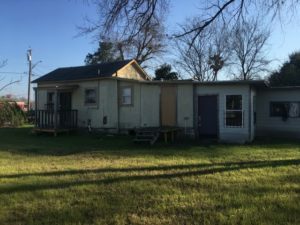 I usually only need to spend $5000 or so to fix up the property. Then I can owner finance the home to a family who can finish the repairs themselves.